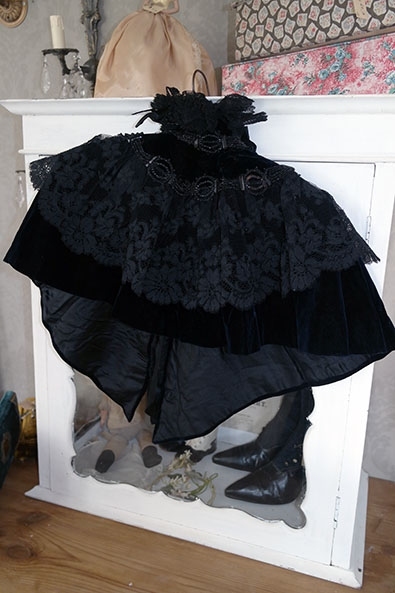 Very nice antique Victorian capelet made of velvet and lace, ca. 1890. 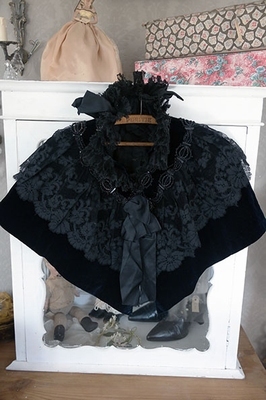 A lovely capelet with lots of lace, made of very deep blue velvet and black lace. The velvet seems darker in the photos than it is in reality, it really is deep blue. 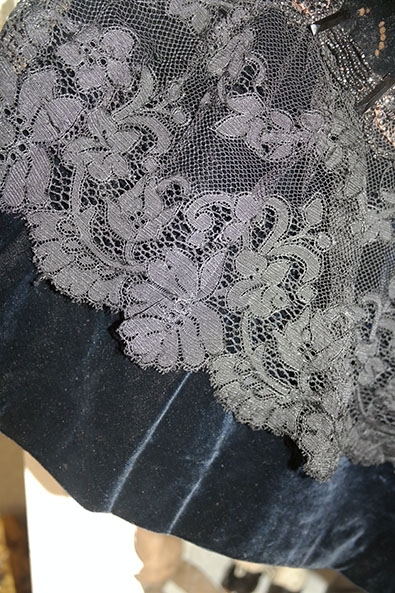 The capelet has a lovely collar made of lace ruffles, with a silk bow at the back of the neck. 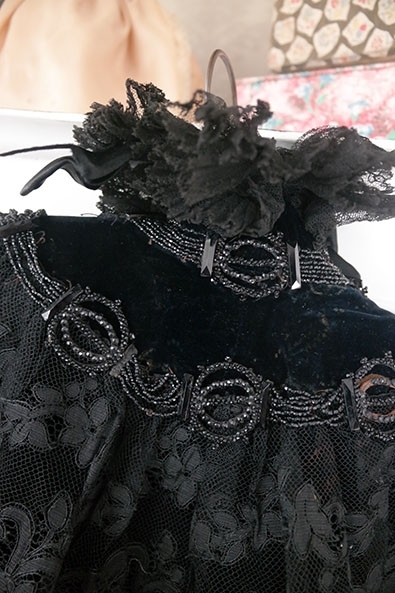 Below the neck two rows of lovely beadwork made of tiny black glass beads, and below that a very deep lace ruffle. The capelet closes with a hook and eye in the front, the closure is hidden under a large silk bow. 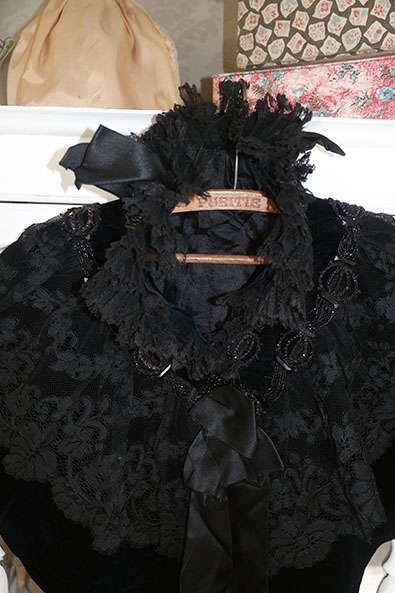 In very good condition, even the velvet is still exceptionally good (velvet tends to get bald spots, this capelet doesn't). There are some losses to the beadwork, but not much, there are no real gaps. The capelet is longer in fron than it is in the back. It measures 50 cms at its longest, and approx. 80 cms wide.